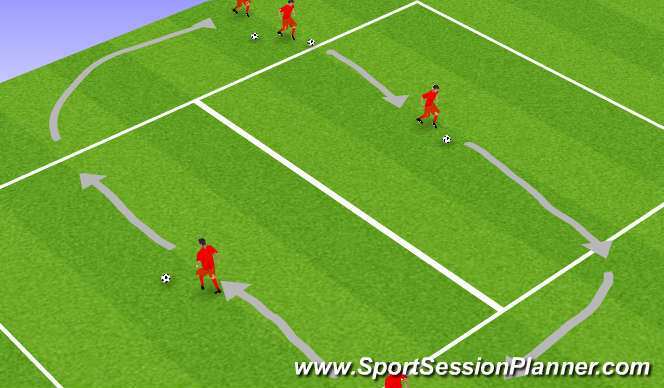 Football/Soccer Session (Academy Sessions): session plan using ipad! A 12x12M square is split into 2 lanes aech 6M wide, as shown in the diagram. 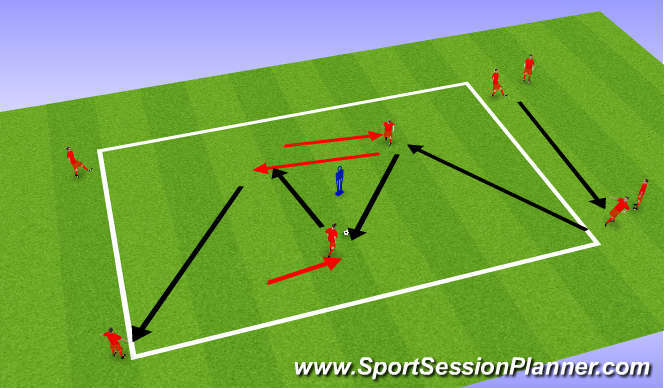 Each player has a ball.Each player in turn dribbles through grid and performs a specific technique that is selected and demonstrated by the coach (scissors, drag-push, marseille turn etc), and broken down in detail to aid understanding. As he exits the grid he joins the back of the queue that is performing the same technique but in the opposite direction.